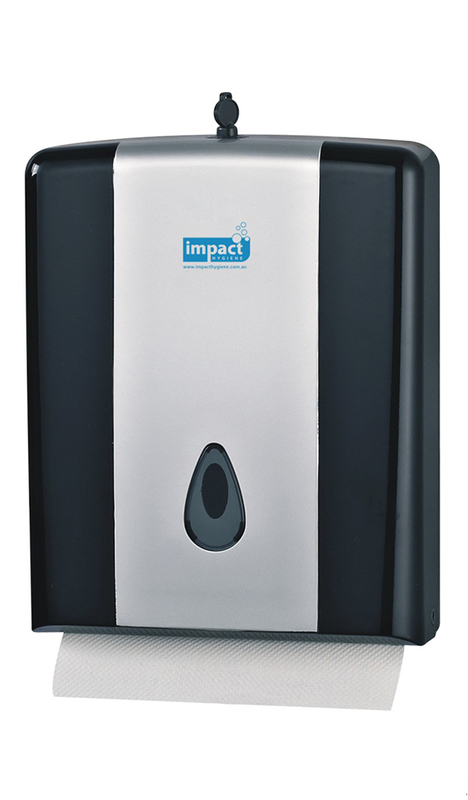 Vertical wall mount, black and grey hand towel dispenser. Modern and slim line. Anti theft.